Écologie : Champs, rochers, sables dans toute la France; Corse. A decumbent, nearly scentless annual with stems 15-38 cm long. Stem rather downy. 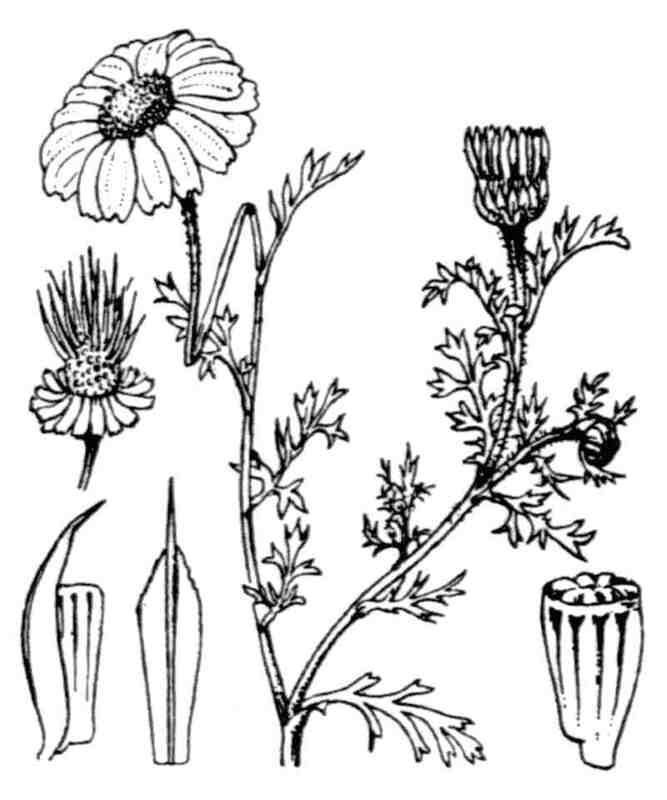 Ecology UK: It is a rather uncommon weed of arable land in E. and S. England. Flowers: ray florets 13-15 mm long, ligulate, white; disc florets 4-5 mm long, tubular, yellow; receptacle scales subulate. Fruit: Achenes 2-0x1-5 mm, truncate, ribbed on inner side, apical collar short, grey.